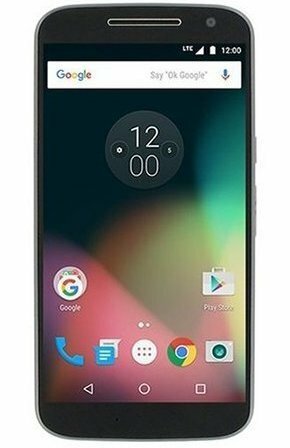 Let’s come to the main point, MOTO G4, I can describe in one sentence, ITS A MOTO PHONE, what else does it need for one to get convinced. Don’t think I am a crazy fan of MOTO. Truly to say that is the feel I have got from this phone, when I hold it for the first time. The design is mixed still being MOTOish mostly, with some transforms, not sure whether it’s influenced by Lenovo a little. Rounded corners, MOTO logo in a recessed circle, centred audio jack, curvish trims at top, all are in regular MOTO design language, but flat back, front button kind of look for FP sensor are new. One can easily identify it as MOTO from a distance. So no worries for MOTO lovers. Phone is slightly big for its 5.5 screen, 71% screen ratio, but it could have been slightly trimmed across the corners as it has rounded metal trims all around for support. Yes, it’s metal only, not plastic. So it’s good and comfortable in larger hands, but people using smaller phones, especially ladies need to think twice. Screen is protected by Gorilla glass, nicely fit around the corners with no gaps or any irregularities, I heard that Redmi N3 has some problem. Touch is responsive and smooth. Front speaker at the top is a sensible design, no worries about call ringtones being muffled anymore as in back speakers when put in bed or any soft surface. Many raised concerns about finger print sensor at front. But this position is what truly ergonomic and practical to use. It’s sensibly placed for our thumb in holding hand, or our index finger in other hand, these two fingers only we used 99 percent of the time for operating the touch phone. Apple iPhone designers are no idiots to place it at front. The fact about many putting sensor at the back is not because it’s convenient, but it’s cheaper and easier to place it there. Otherwise, they need to worry about real estate in front side to place it or change their home buttons as sensors, which cost them a lot, only Apple can afford it. MOTO made a wise and balancing decision here, but obviously it may confuse people for home button for sometime till they get used to. But I would say any new design will take some time to adapt. Flat back is little uncomfortable to hold, again for small hands, but it’s rubbery and giving good grip, the metal trims is slippery especially when you have wet hands. It’s better to put a silicone cover on it. This is the main reason I hate metal body in phones unless it’s micro brushed as in iPhone. Also metal body will be prone to scratches and not replaceable. Though it looked premium in initial days but would become more ugly after some time with all its scratches and dents. iPhone and HTC use military grade titanium alloy, but I doubt about these budget phones with metal body just for the sake to look premium. MOTO didn’t compromise on that, kudos again. Only flip side on plastic back though is that, it cannot dissipate heat as good as metal. This is one reason we feel heat on this phone more easily, even though RN3 produce same level of heat. Also flat back makes the phone more slimmer and less bulky, which is good. All mid segment SD based phones have heating issue, RN3 has it, HTC has it. High end phones have better heat management design, that cannot be afforded in budget phones. Though SD 617 supports Wifi ac band, this phone sadly supported only b/g/n. Not sure why, so no future proof here. Also no magnetic sensor, many apps rely on this cannot be used on this phone, sad again. But want to clarify one thing, this does not stop you from using maps. Maps work with GPS and your mobile data, so no worries. All the problem with maps is it will not rotate the map when you turn yourself while you walk, but it will turn if you travel in a car using your mobile data as you move faster. Finger print sensor is snappy and accurate and it supports 360 degrees, top class! DXOMark rated this camera as 84 which is equal to iPhone 6S plus, even iPhone 6s is having lower rating than this. Believe it or not, only 4 mobile cameras in the world is having better DXOMark rating than this, but they are all flagship models from Samsung and HTC. Though it was tested in controlled environment, regular user experience will be different obviously. But this phone camera is truly best in class, produced similar if not better results in day light photos as iPhone 6. Auto focus is snappy thanks to the laser focus and it’s as quick as SLR camera. Though it struggles in low light and indoors, obvious due to pixel in image sensor is smaller as being 16 mp. You can understand why Apple sticks at 12 MP thanks to its larger pixel for excellent low light photos. 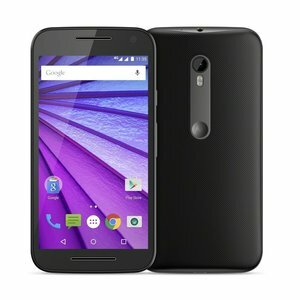 It would have been great if MOTO sticks at 13 mp itself with its improved top class hardware. Front camera is good but not great, but wider angle helps group selfies much better. Again sensible feature. Camera app is great with its pro mode, worthy to use. Turbo charging is possible on this phone and improved compared to previous models again thanks to SD 617 for its QuickCharge 3.0 technology. It charged my phone from 50 to 100 in 30 mins. Yet to check the time from 0 to 100. Great for frequent travellers and business people. This unit comes with a turbo charger, that is awesome as MOTO G4 model has no charger included, this charger alone costs around 2000 rupees. Great offer. 3000mah battery is much sufficient and balanced for typical phone users, although not for gamers. SD 617 is low power consumer, so no issues. The weakest part is its headphone. Possibly MOTO can avoid putting a headphone altogether rather putting this one. Bad move. Ok for calls, but pathetic for music. My Klipsch rescued me from this. Thank god. Nothing can beat stock android and its fluid experience. Though I am great lover of ASUS ZenUI (the most sensible custom ROM in my opinion), I loved this vanilla android. Also there are great advantages, as we know quick updates, security patches and high security as custom ROMs open many security loop holes. And it’s Marshmallow and it’s material theme, awesome experience. I installed some apps from my Zen Ui though, example gallery. We have that freedom to install what we only need, no more bloat wares. Overall, Moto G Plus 4th Gen is very solid and decent looking, not plasticky as told by some people. Very sensible design by MOTO. There is nothing else like pure Android experience guys…go for this phone..it’s worth your every extra penny.